The FDA’s abstinence-only approach to eating cookie dough is unrealistic and alarmist. Don’t even touch it, says the FDA. Should you really throw out your homemade play dough, swear off licking the spoon, and tear up your recipe for Cookie Dough Billionaire Bars? Many of the media companies that have passed along the FDA’s message say the answer is yes. “F.D.A. Ruins Raw Cookie Dough for Everybody,” wrote the New York Times. “Cookie dough is REALLY bad for you, says FDA,” said Salon, distorting the message somewhat. “I Can No Longer Recommend Raw Cookie Dough in Good Conscience,” announced Gawker’s Hudson Hongo mournfully. But a closer look at the reasons behind the FDA’s recommendations reveals that they might, just maybe, be exaggerating the risks of cookie dough. The FDA issued the warning after investigating an outbreak of a virulent strain of E. coli linked to a batch of flour produced in a General Mills facility in Kansas City, Missouri. (The affected flour, which has since been recalled, is sold under the brand names Gold Medal, Signature Kitchen’s, and Gold Medal Wondra.) Forty-two people in 21 states have contracted the flour-linked E. coli since December. No one has died. And yet the FDA’s response is to tell everyone—all 319 million Americans—not to eat any uncooked flour whatsoever. By comparison, the Chipotle E. coli outbreaks affected 60 people in 14 states, and the FDA didn’t respond by telling people not to eat at Chipotle. All it said was, “Consumers who have recently become ill after eating at a Chipotle should contact their health care provider.” This was a reasonable recommendation that also probably reflects the political hazards of a government agency bashing a particular company. 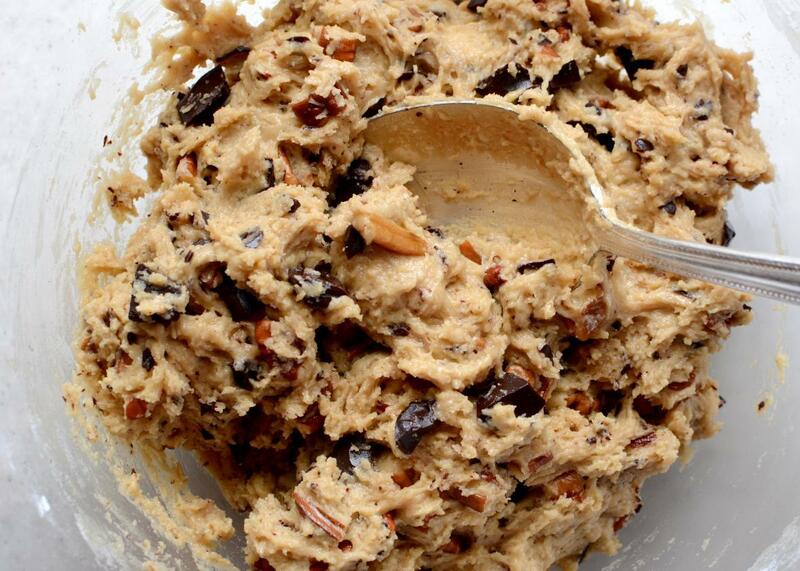 It’s not politically hazardous for a government agency to bash cookie dough. Cookie dough does not have any lobbyists or lawyers on retainer. But the fact remains that people eat cookie dough—always have, always will—and the FDA’s abstinence-only response is both unrealistic and unnecessarily alarmist. You should educate yourself about the risks of raw flour and make your own decision about whether they’re acceptable, instead of letting the FDA’s doom-and-gloom warnings automatically scare you away from one of life’s most delicious treats. Here’s the deal: Flour comes from wheat that grows in fields, where it is vulnerable to being pooped on by animals. (Or, as the FDA euphemistically puts it, “if an animal heeds the call of nature in the field, bacteria from the animal waste could contaminate the grain, which is then harvested and milled into flour.”) Most of the bacteria in animal poop is not going to hurt you, but occasionally a nasty strain like E. coli O121, the strain associated with the recent flour recall, can find its way into a bag of flour (or into virtually any other food that comes from a field, for that matter). When you bake foods containing flour for long enough, you kill any bacteria that might be lingering in the flour. When you consume uncooked dough, you potentially expose yourself to infection, especially if you are elderly, a child, or have a compromised immune system for some other reason. Raw cookie dough is delicious and compared to say, driving a car every day, not especially risky. Still, it’s probably “not worth it” as Rivera said, given the potential severity of illness. Is driving a car “not worth it” either, given the potential severity of injury? Some people will draw that conclusion and not drive, and that’s their prerogative. Similarly, some people will look at the potential effects of E. coli and not eat anything containing uncooked flour. But other people will conclude that the relatively minuscule risk of contracting E. coli from raw cookie dough—or a Chipotle burrito, or alfalfa sprouts, or rotisserie chicken salad, or spinach—is an acceptable trade-off, given the joy those products bring to their lives. Life is dangerous. Grave illness, injury, and death lurk behind every corner and could affect any one of us at any moment. By all means, everyone should immediately throw out the General Mills flours that have been recalled and probably avoid consuming any uncooked General Mills flours until the Centers for Disease Control and Prevention declares the outbreak over. But the fact remains that the vast majority of flour is not contaminated with E. coli. Instead of tarring all uncooked flour and trying to dissuade us from partaking in one of the great joys of life, the FDA should focus on making sure flour manufacturers follow food-safety best practices to prevent contamination. The FDA is better off focusing on keeping our food supply safe, not exaggerating risks to make us all feel less safe than we actually are.